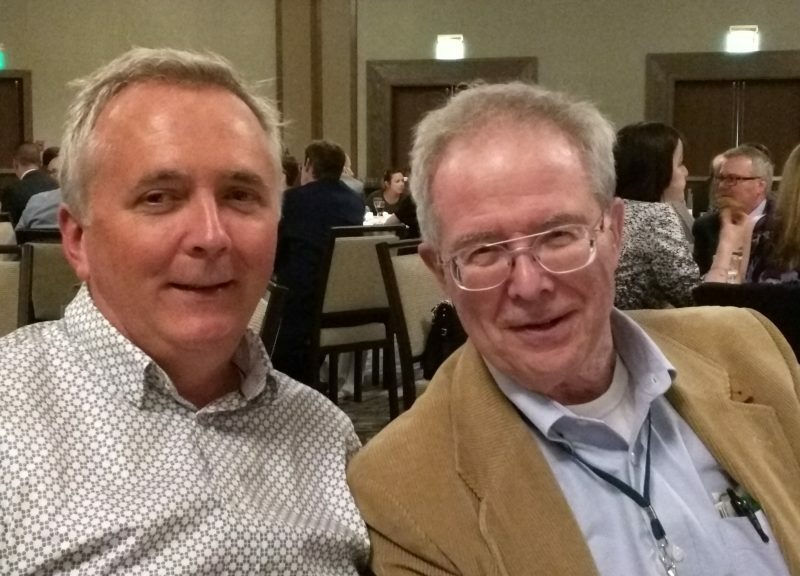 At the recent MOLA annual conference in San Diego, I had the unique honour to be seated next to David (Dave) Daniels. This is a name that any orchestral librarian will know well because his publications are an essential reference in any music library, and have been for almost the last half century. is called the “Daniels” format. Daniels has personally inspected more than 10,000 scores to make sure the information in his publications is accurate and so it is perhaps not so surprising that his presence at MOLA was to announce his retirement. Not that his legacy will be forgotten. The work will continue under the guidance of David Oertel and David Alexander Rahbee with a 6th edition to be be published sometime in the next few years, and the online resource at https://daniels-orchestral.com will continue to be expanded and updated. Enjoy your retirement Dave, you certainly have earned it!